Discovery takes place in the hinterlands, where we don’t feel comfortable and things can get a little scary. That simple, but immensely valuable piece of human engineering. With it, you can take massive amounts of material, data or (using the visual funnel we call a lens) visual information and channel it in a way that makes it so much more valuable than when it was random, scattered and unfocused. But the funnel is not just a wonderful tool. It’s also a great metaphor for increasing our ministry effectiveness by widening our scope and narrowing our focus. This is one of the insights I’ve gained in the most recent decade of my life and ministry. When it comes to input, I draw from as many sources as I can (history, science, theology, the arts, and more), but when it comes to output, I’m constantly narrowing it tighter. 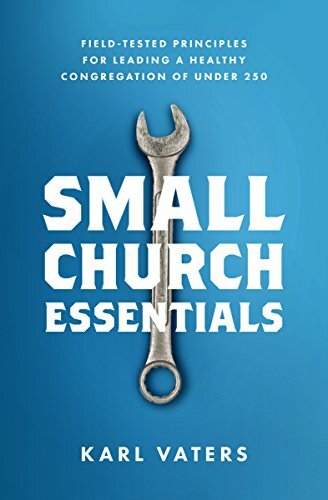 For instance, I’ve moved from a general study of theology, to a more specific study of Christian ministry, to the narrower study and practice of pastoring, to the very underappreciated and highly misunderstood world of pastoring a small church. By widening my scope and narrowing my focus, I’ve increased the impact and effectiveness of my ministry exponentially. When we widen our scope, we’re also like the Apostle Paul when he told us “I have become all things to all people.” (1 Corinthians 9:19-23). If all we do is narrow our focus, we can miss a lot. But if all we do is widen our scope, we become watered down and anemic. Because Paul narrowed his focus to Christ and him crucified, he was able to broaden his scope and use an astonishing variety of new methods, without watering down his message. Unfortunately, there’s a temptation for all of us to fall into two equally problematic errors on the narrow/widen scale. On the one hand, we can narrow not just our focus, but our scope. When we’re narrow on both ends, we’re not a funnel, we’re a straw. If I was doing that with my research and teaching about small churches, I would only be reading small church materials, and the best I could do is parrot others.